To maintain full accreditation, CNA classes in Montana must abide by DPHHS (Montana Department of Public Health and Human Services) federal requirements of at least 75 total hours of training for their students. This is broken down into 59 hours of classroom lecture and 16 hours of clinical training. Most full-time program participants can complete the required study in 5 to 8 weeks. Acceptance into an accredited CNA course usually requires the individual to be at least 18 years old and have either a high school diploma or its equivalent. After a student has completed the mandatory training hours, he or she will be eligible to sit for the NNAAP certification exam or another state-sponsored test at any time in the next 24 months. If a student fails to pass both the skills demonstration and multiple-choice sections of this exam during that time, he or she will have to repeat all of their training. In order to be eligible for hire, a CNA must also be listed in the Montana Nurse Aide Registry. 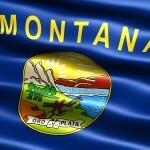 Because of high demand for nurses aides in the surrounding area, CNA classes in Montana are mainly offered in Billings.